Founder and President of the company was Jay R. Monroe (1883-1937). 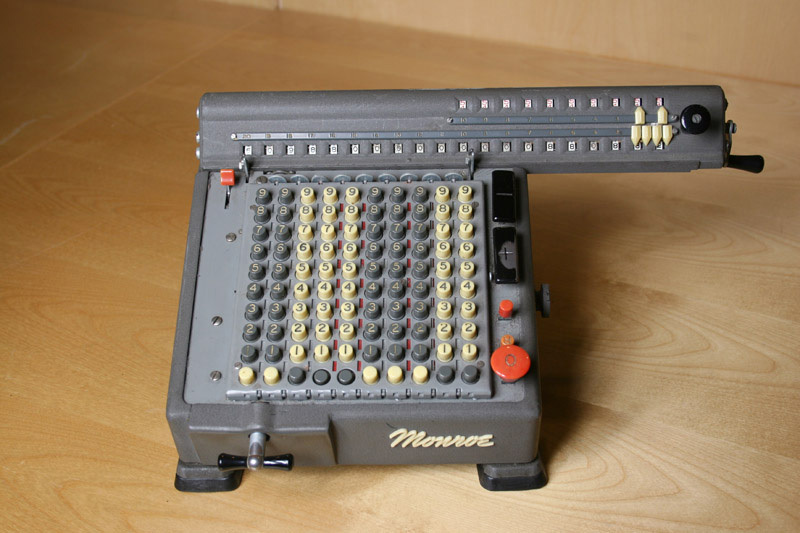 He was a businessman not a designer of calculators. 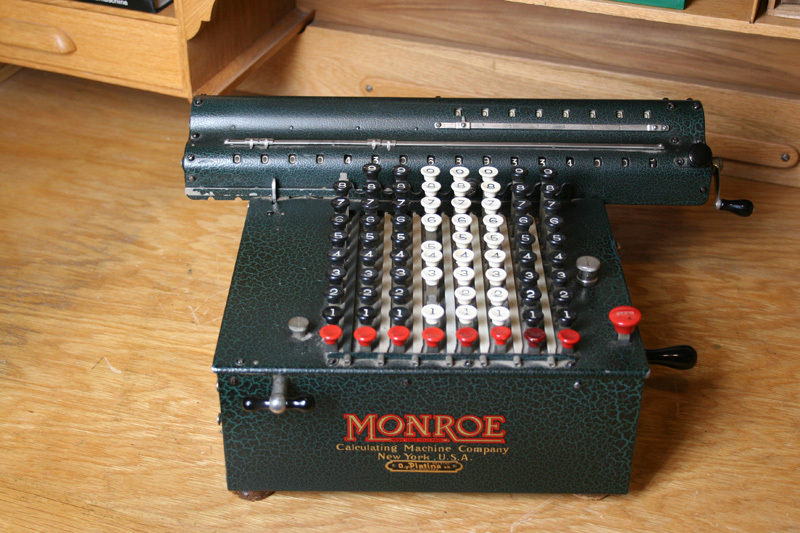 The first Monroe calculator was designed by Frank Stephen Baldwin (1838-1925). 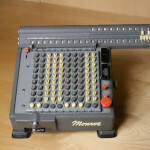 His first calculator was an adding machine named “Arithometer” . Patent was granted in1874. 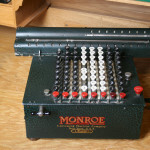 Monroe was founded in April 1912. 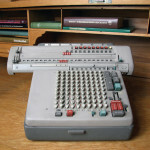 The calculator was introduced at the National Business Show in New York in the fall of 1912. The first years production was ten machines, all made entirely by hand. New machines designed by Baldwin followed rapidly. In 1958, the company was bought by Litton Industries. In 1980, the company name was changed to Monroe Systems for Business. In 1984, Litton Industries sold the company. 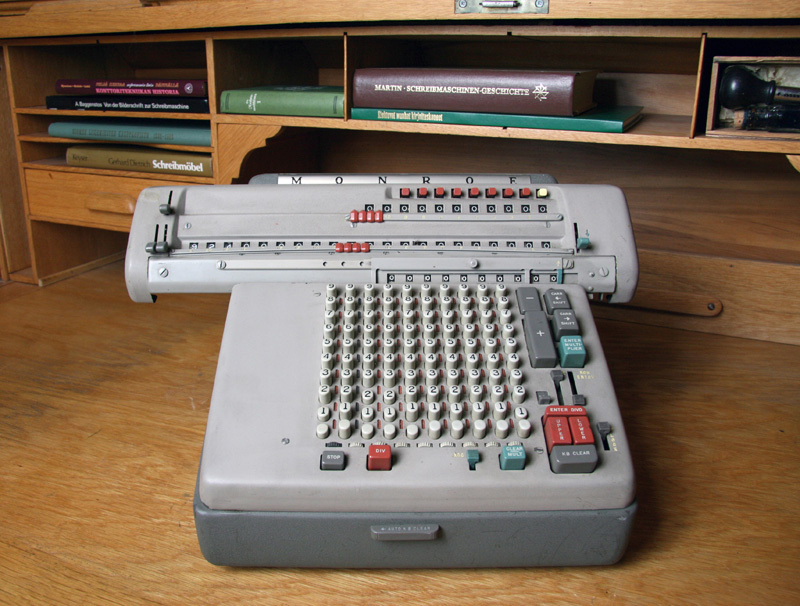 The new ownership shifted the focus to the copier market. In 2001, Monroe Systems for Business changed ownership again in 2001. Today the focus is again upon calculators.